Workflow is now an Apple app. 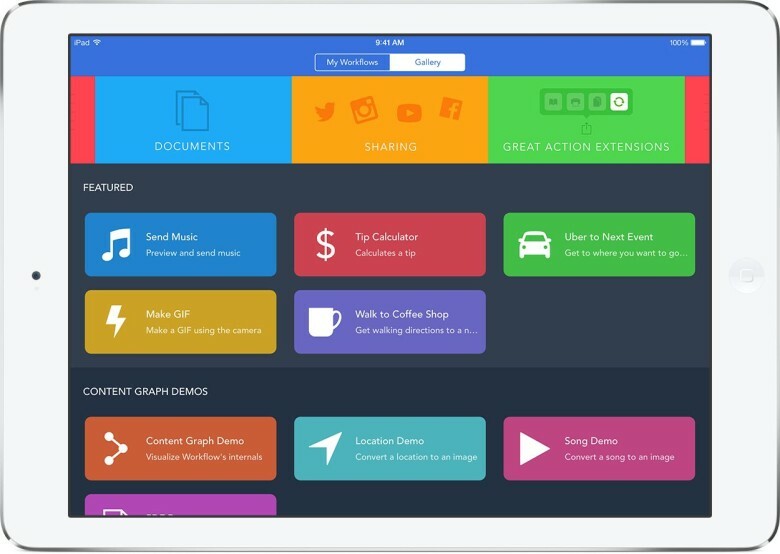 Apple has completed a deal to acquire Workflow, the popular utility app for iPhone and iPad. It’s unclear exactly how much the Cupertino company paid, though it was reportedly “a solid payday” for the team behind the app, which includes former iPhone jailbreaker Ari Weinstein. Workflow made its App Store debut in December 2014 and picked up an Apple Design Award the following year. The app takes advantage of accessibility features baked into iOS to allow users to automate common tasks using multiple actions. You can use it to create buttons that will fetch you directions to the nearest coffee shop, upload the last photo you snapped to Dropbox, create animated GIFs, turn a webpage into a PDF, and lots, lots more in a single tap. TechCrunch was first to report the acquisition, which has now been confirmed by Apple. The company will obtain the app itself, as well as the team behind it, which includes Weinstein, Conrad Kramer, Ayaka Nonaka, and Nick Frey. Workflow wasn’t the first app to automate tasks on iOS, but it became incredibly popular thanks to its ease of use and impressive design. Its compatibility with an exhaustive list of third-party apps and services also helped it grab attention. The acquisition is even more notable following the departure of Apple automation czar Sal Saghoian last November. His position was eliminated after he left the company, leading many to believe Apple was no longer interested in developing automation technologies. Since Workflow became an Apple app, its $2.99 price tag has been dropped, allowing new users to download it for free. If you haven’t already started using it, then, now is the time.